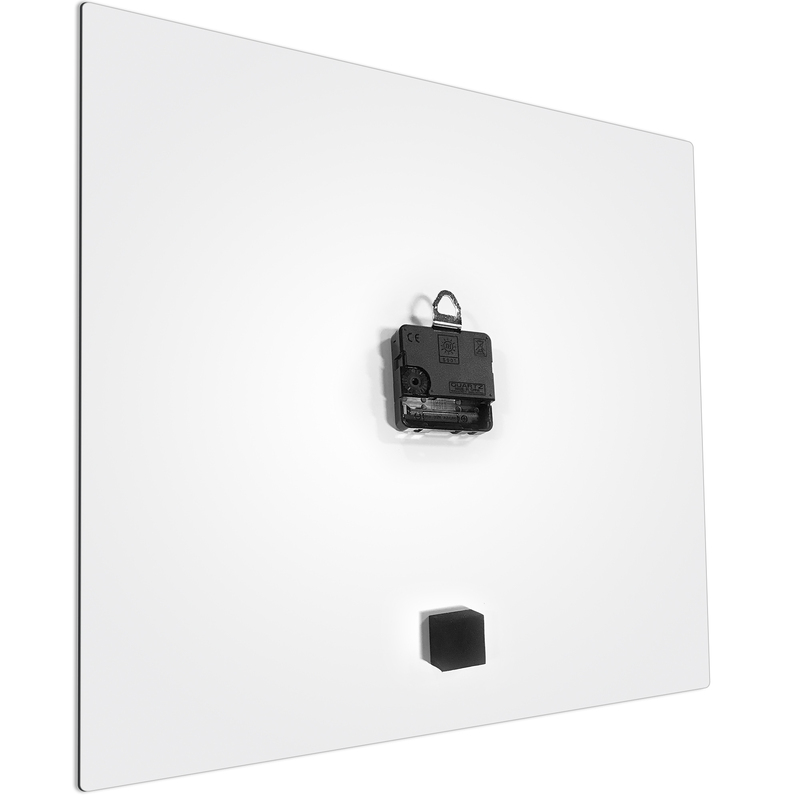 Modern minimalism is the name of the game here, from the clean lines and solid colors to the silent sweep motor and straight slim hands; every element of the Redout Black Square Clock Large epitomizes the minimalist movement. 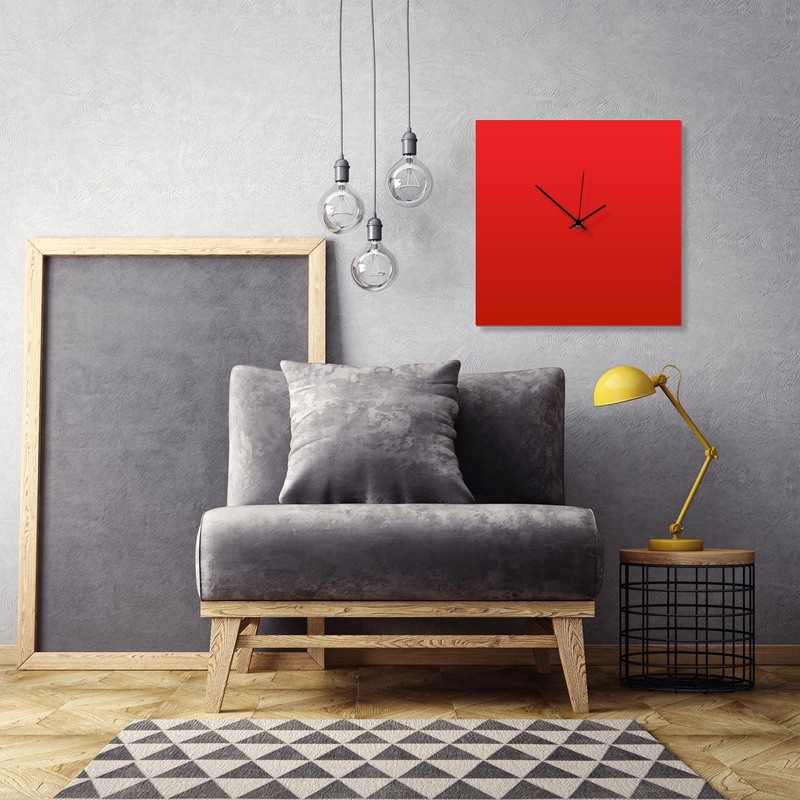 Designed and crafted in Cincinnati by upscale furniture designer/maker Adam Schwoeppe, this contemporary clock features a tall aluminum polymetal body with crisp satin-matte hues of red and black with a fine silver and black pinstripe edge. 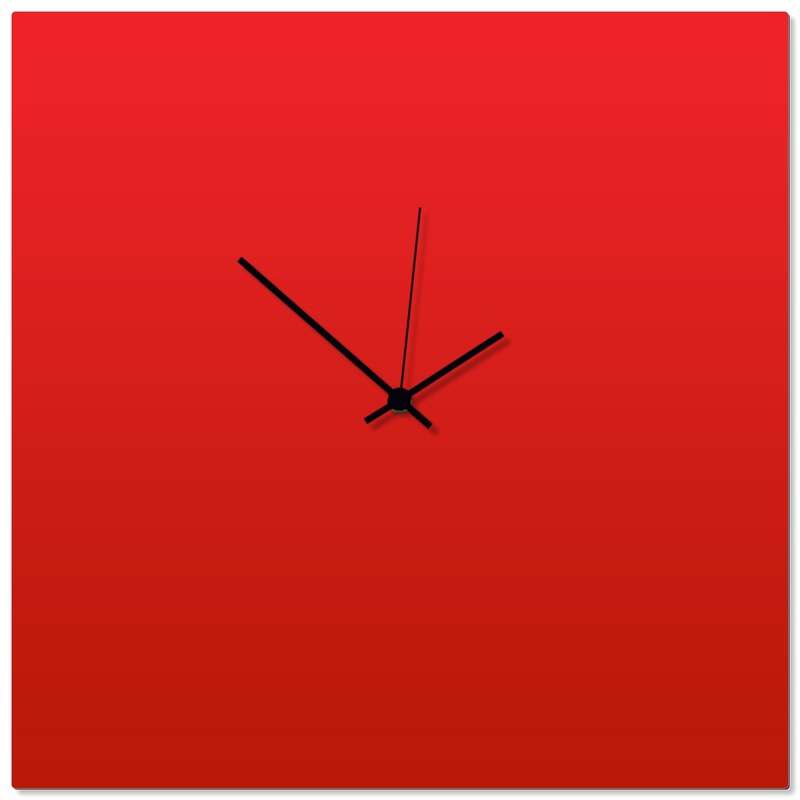 This red kitchen clock is more than just a time piece: it is a simple addition to a midcentury space, a personal statement in a studio apartment, an attractive element for a modern decorator, or a welcomed bit of contemporary design in an office or lobby. Finish/Care: Recommended for indoor placement. Artistic satin finish on aluminum polymetal. Wipe clean with soft cotton cloth, and if necessary, warm water and a mild hand or dish soap.